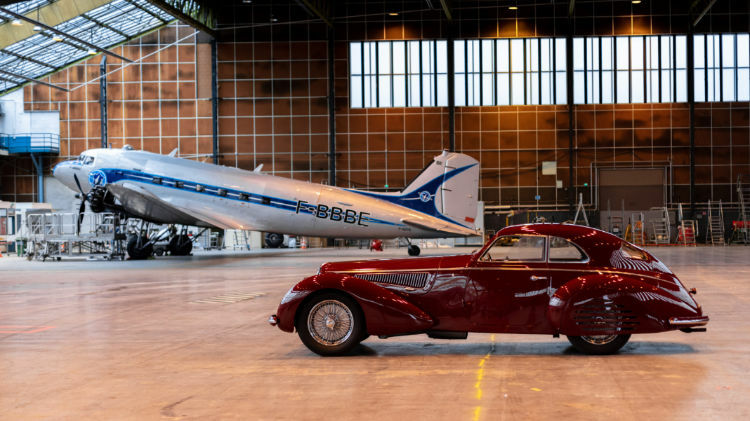 An Alfa Romeo SC 2900B Touring and Bugatti Type 51 Grand Prix are the lead cars for the Artcurial Paris Rétromobile 2019 classic car auction. 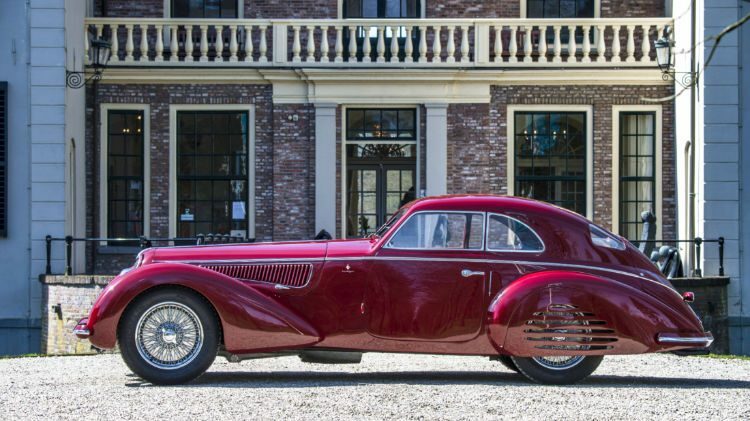 The most-expensive car on offer at the Artcurial Paris Rétromobile 2019 sales is a rare 1939 Alfa Romeo 8C 2900B Touring Berlinetta that could set a new marque record. 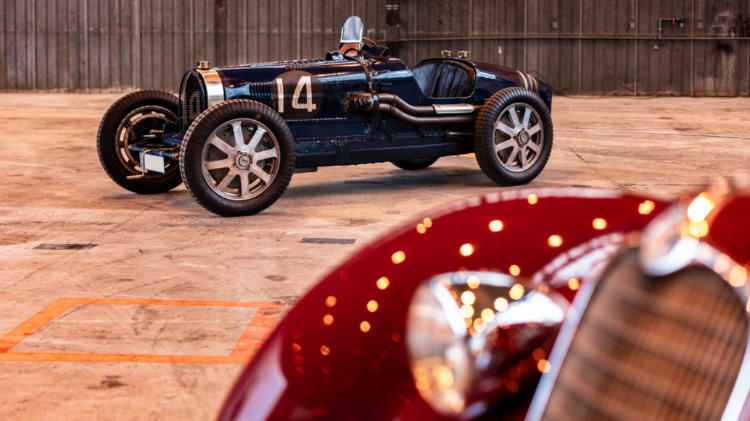 The Bugatti Type 51 Grand Prix comes with excellent provenance including 40 grand prix races. 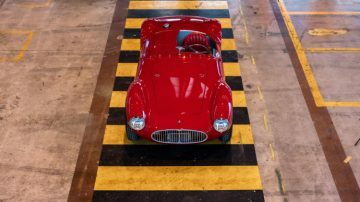 Multi-million dollar results are also expected for a 1957 Porsche 550 A Spyder, a 1953 Maserati A6GSC, a 1966 Ferrari 275 GTC and a 2009 Mercedes Benz SLR Stirling Moss Edition. 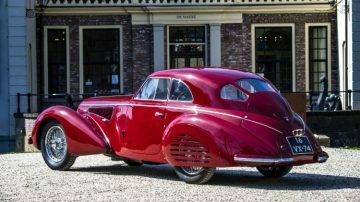 The clear lead car for the Artcurial Paris Rétromobile 2019 sale is a 1939 Alfa Romeo SC 2900B Touring Berlinetta, estimate €16 – 22 million ($18 to 25 million). The car could potentially set a new Alfa Romeo marque record if it sells within estimate. This 1939 Alfa Romeo 8C 2900B Touring Berlinetta has been well maintained and frequently used on the road but has never received a full restoration. It has covered 65,000 km since new, including 12,500 km since 1976. 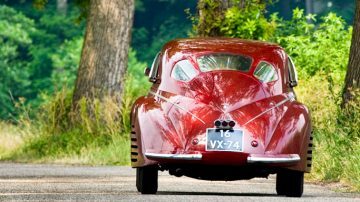 Alfa produced fewer than 50 of the 8C2900 chassis making these big cars, which could compete with the big Mercedes Benz cars from the same period, rare and very expensive. The last one to have sold at auction was a 1939 Alfa Romeo 8C 2900B Lungo Spider that set a new marque record when achieving $19,800,000 at the RM Sotheby’s Monterey 2016 sale. At the time of sale, this was the highest price ever paid for a pre-war car – a record increased to $22 million by the 1935 Duesenberg SSJ that sold at Gooding Pebble Beach 2018. 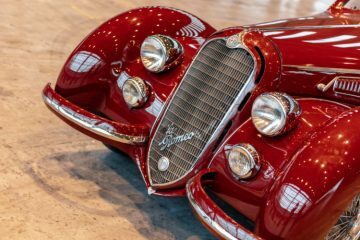 It is a long gap to the second most-expensive Alfa Romeo in the Artcurial Paris Rétromobile 2019 sale: a 1930 Alfa Romeo 6C 1750 Grand Sport Roadster Corsica, which is a remarkable car in its own right. The car has been in the same family ownership since 1953. It was raced in the 1930s with the Corsica body only fitted in the early 1950s. It is in a very original condition and retained its original engine. Bugattis will be available in high numbers at the Paris 2019 sales. RM Sotheby’s has four modern Bugattis on offer while Bonhams has a 1928 Bugatti Type 43 Grand Sport Tourer that originally belonged to Crown Prince Leopold of Belgium. However, the best Bugatti on offer at the Paris Rétromobile 2019 sales is at Artcurial: the 1931 Bugatti Type 51 Grand Prix, estimate €4 to €5 million. This Type 51 is one of around 40 produced. 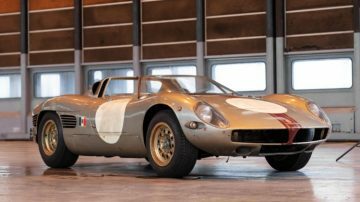 Despite a very active in-period racing history, it never suffered any major damage and retains it original chassis, bodywork and many mechanical components. 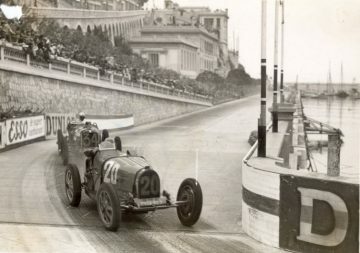 The Bugatti 51 was originally purchased by Maurice Lehoux, who drove it to 6th overall in the 1932 Monaco Grand Prix but also to victories in lesser races. It was then raced by among others Maurice Trintignant, who achieved his first Grand Prix victory in this car. 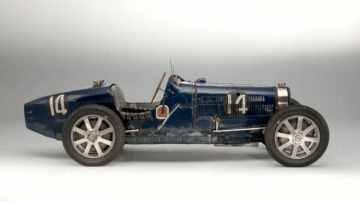 In all, this Bugatti Type 51 competed in more than forty Grand Prix races. 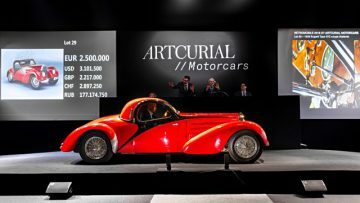 Artcurial has nine classic Bugattis on offer, of which the 1936 Bugatti Type 57 Atlantic Modifiée Erik Koux and 1936 Bugatti Type 57 C Cabriolet Gangloff are also expected to achieve a million dollar each. Two million-dollar Porsches are on offer at the Artcurial Paris Rétromobile with the 1957 Porsche 550 A Spyder the more valuable. This 550 was originally raced in Latin America and later in France too. It is fully restored. Porsche produced only 90 of the 550 spyders, including 40 of the 550A version, but several came up for auction in recent years, including a 1956 Porsche 550 RS by Reuter in the RM Sotheby’s Paris 2019 sale. Three Porsche 550 Spyders were sold at auction during 2018, with a few more failing to reach reserve prices. 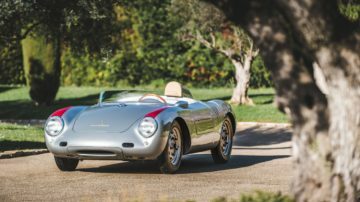 Prices paid in 2018 ranged from $4,455,00 paid for a 1955 Porsche 550 at Gooding Pebble Beach 2018 to a model record $5,170,000 paid for a 1958 Porsche 550A at Bonhams Scottsdale 2018. In contrast, the 1971 Porsche 916 Prototype “Brutus” is unique. It is the only Porsche 916 fitted with a 2.9L RSR engine from new, as it was originally used by Corina Piëch – daughter of Ferdinand Piëch, the famous engineer and manager at Porsche, Audi and Volkswagen. Porsche 914s achieved high results at recent American auctions but the estimate for this prototype is around ten times higher. The 1966 Ferrari 275 GTC had only 2 owners in more than four decades. 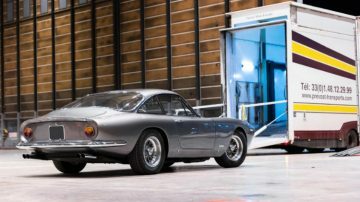 It is a matching numbers cars and one of only three of the 442 Ferrari 275 GTB cars produced stamped as 275 GTC. The only other top Ferrari in the sale is a rather standard 1964 Ferrari 250 GT/L Lusso in magnificent condition. More exciting is the 1966 Serenissima Spyder that participated in the Le Mans 24 Hours in 1966 as car n°24 with drivers Jean-Claude Sauer and Jean de Mortemart. The car is in exceptionally original condition and has not been touched since the race. The car has only ever had one owner : Count Giovanni Volpi di Misurata. The 1974 Lamborghini Countach LP400 Periscopio is an early Periscopio model and the only one originally delivered in silver over tobacco leather. A previous owner included the racing team owner Walter Wolf. 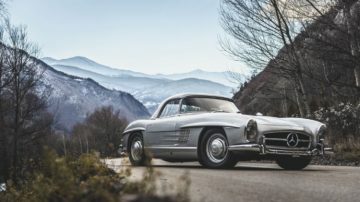 Although two 1958 Mercedes Benz 300 SL Roadsters will be on offer at the Artcurial Paris 2019 sale, the most-expensive Mercedes Benz is the more recent 2009 Mercedes Benz SLR Stirling Moss Edition. It is one of only 75 built and has covered only 950 km from new. The SLR Stirling Moss Edition was the final series of cars produced by Mercedes and McLaren and was only available to existing SLR owners. The list price was around $1 million. 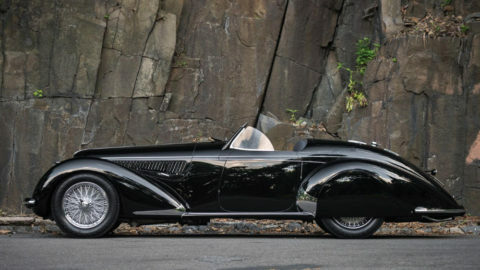 Also worth a look is a 1936 Mercedes Benz 500 K Cabriolet B, estimate €600,000 – €800,000, fitted with an original 540 K engine.